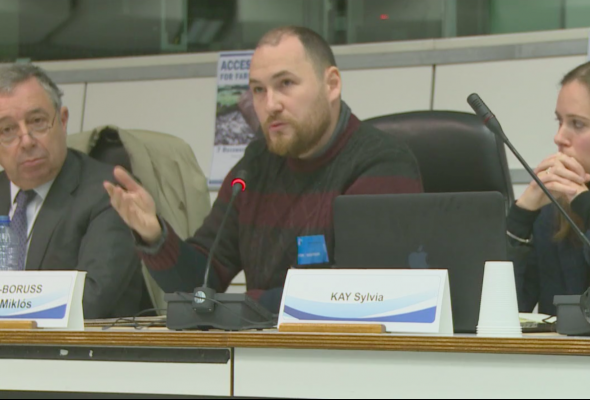 On 7 December 2016 the European Economic and Social Committee, the Greens/EFA Group in the European Parliament and the European Coordination Via Campesina co-organised an event to discuss the problems of access to land in Europe. The full-day conference took place in Brussels at the European Economic and Social Committee and the European Parliament. Delegates heard presentations, summarised in this report, but also participated in discussions to help identify key issues facing farmers in Europe, and how government and civil society can support a future of diverse agriculture in Europe. Besides ECVC, various other Hands on the Land partners took part in the conference. A video registration of this event is available on the website of the Greens in the European Parliament.